This week, our topic is Best Books for Anyone -- a book that doesn't cater to any one gender or age group. A book you'd recommend to your teenage niece, or your mother, or someone random on the street. A universal book, as you will! Check out our selections and let us know what you think in the comments. My book for this category would technically have to be a series. The Vampire Academy novels. Why? Because though I had read many books before them and have read many more since, that series lead me to my first book love, Dimitri. I was instantly a fan of this series from the moment I picked up the first book. I know some people say vampire books have had their day, but I honestly think that's incorrect. In my opinion, anyone and everyone should pick up the VA books and give them a chance. I gave my heart away to Dimka the moment I met him and when I was asked a question the other day, "who is your biggest book crush?" I immediately answered "Dimka" because though there's been many book boyfriends since, he remains my first love. And you know what they say about us girls, we'll always remember our first loves. 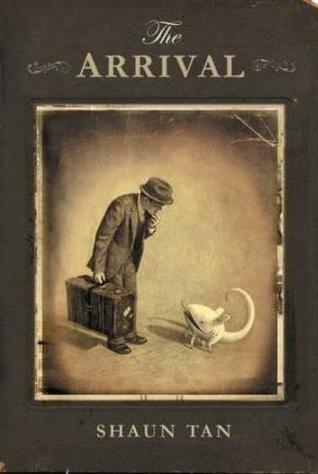 I think everyone in the world should read THE ARRIVAL by Shaun Tan, which may hold the esteemed title of My All-Time Favorite Book. It's a gorgeous, heart-wrenching, whimsical novel about the immigrant experience, but the most astonishing thing about it is that the story is told entirely in pictures. It doesn't matter how old you are or what language you speak—I promise this book will resonate with you. I love Shaun Tan's illustrations so much that I bought an additional copy of the book, cut out the pages, and collaged my kitchen wall with them. Now I get to see it every day as I cook, and it makes me happy every single time. I think the Harry Potter series is perfect for readers of any age. It gets flack for being a kids' book, but only by people who haven't actually read it. While the first books start out a little more simplistic than the later ones, the plot and stakes grow increasingly darker and more dangerous as Harry and his friends age. 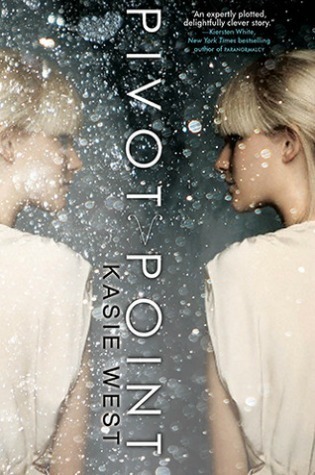 There is a little something for everyone: friendship, death, fighting, action, romance, humor, magic and the paranormal, evil, and family, just to name a few. This choice was easy for me. I tell everyone I know about Megan Whalen Turner's Queen's Thief series. The first book is The Thief, and if you haven't read it, along with the three books that follow (The Queen of Attolia, The King of Attolia, and A Conspiracy of Kings), you haven't read the best that YA has to offer. Each installment is self-contained, but you must read them in order because they build on each other. What do we have in this book? There's growth: the uneasy relationship between the magus and thief Gen develops into a strong mutual respect. There's geopolitics: a power play and history of wars involving three countries that are fully fleshed out. There's world-building: the gods and myths are reminiscent of Greek and Roman gods, but wholly their own. There's romance (mostly in books two and three) that walks a line I've seen nowhere else, between almost unbearably subtle and deeply swoony. This series appeals to both male and female readers--frankly, everyone falls in love with Eugenides. It's fun and appropriate for children, but equally interesting to any adult who adores adventure, political intrigue, and epic poems. A universally good book? 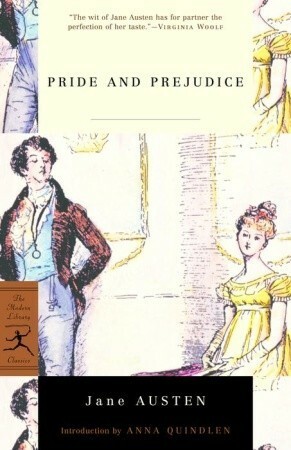 I guess I'm sticking with a classic here: Pride and Prejudice by Jane Austen. Classics are classics for a reason, right? Now granted, perhaps some guys won't be into the romance, or not everyone will dig Austen's particular style of writing, but I would still recommend that everyone read this book at least once. Go ahead and add zombies if you must (courtesy of Seth Grahame-Smith and publisher Quirk) but read it--it's excellent! And when you're done, go watch the great BBC miniseries starring Jennifer Ehle and Colin Firth. I'm going to go with another classic, although I'm glad that Jessica picked Harry Potter, as that was a strong contender, given the fact that I know small children and grandparents and everyone in between who enjoy the series. 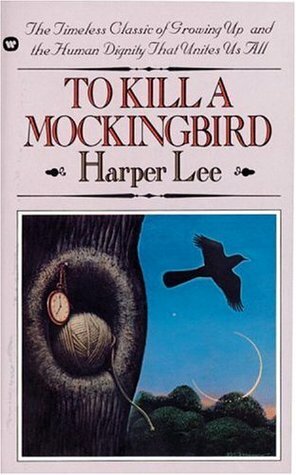 Instead, I went with To Kill a Mockingbird, a book I read as a small child, and then repeatedly again through the years. My copy's battered and worn, and every time I pick it up, I learn something new from it. It's a story that means different things to you throughout your life. As a small child, I understood (in theory) the racism tackled in the book, but I didn't understand many of the other nuances in the plot. As an adult, of course, there's so much more that I get. In reading it now, I think about people of my parents' generation, who were growing up at the height of the civil rights movement, and the people of my grandparents' generation, and all the people who could ever read this book who would be touched by it in different ways, given their own lives, their own circumstances, their proximity to the American South or to small-town America or to just being a tomboy who's wise beyond her years. The Thief is definitely my favorite book! I absolutely love it and the entire series! It's awesome!